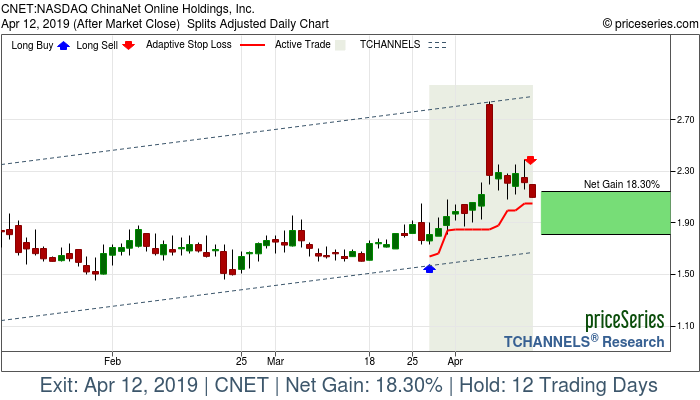 ChinaNet Online Holdings, Inc., through its subsidiaries, provides business-to-businesses Internet technology services in the People's Republic of China. It offers online-to-offline sales channel expansion, precision marketing, and the related data services for small and medium enterprises; and entrepreneurial management and networking services for entrepreneurs. The company also operates Internet advertising and marketing portals comprising 28.com, an Internet portal for information about small business opportunities in China; and produces and distributes television shows comprising advertisements and infomercials for various clients. It serves customers in food and beverage, cosmetics and health care, women accessories, footwear, apparel and garments, environmental protection equipment, education network, E-Commerce platform and home goods and construction materials. The company was founded in 2003 and is headquartered in Beijing, the People's Republic of China.